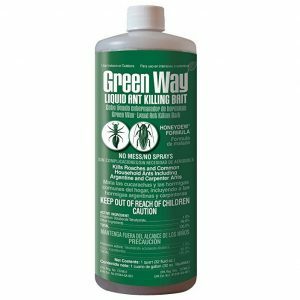 4 – Gourmet/ Green Way Liquid Ant Bait Gallon contain Disodium octaborate tetrahydrate (DOT), a boric acid salt, as the active ingredient. 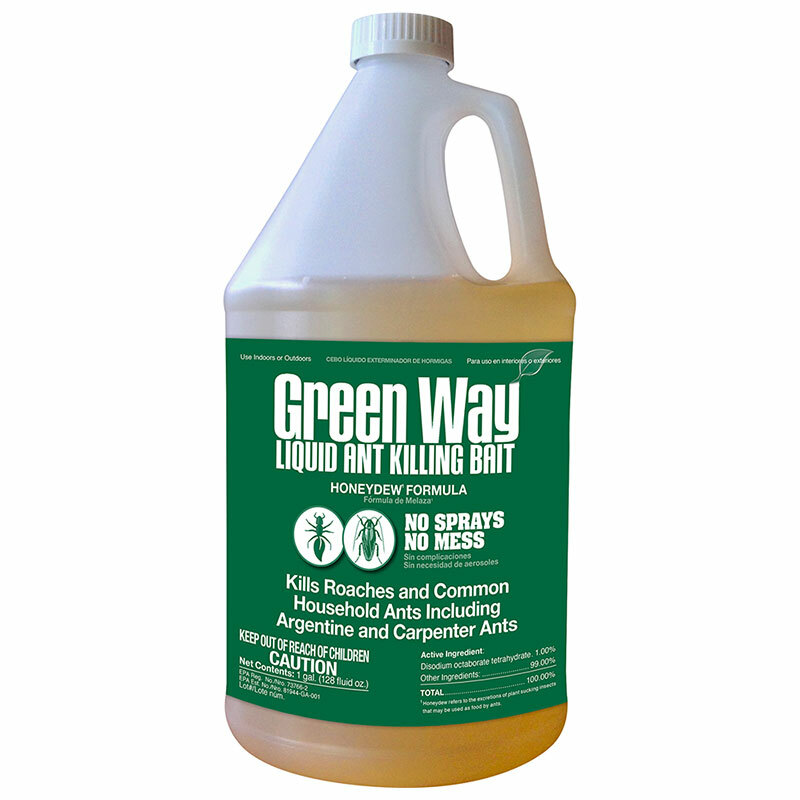 Our “Honeydew” formula bait is specially formulated to mimic the “Honeydew” produced by aphids and scales. 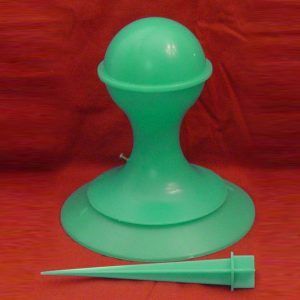 It is formulated to retard the development of mold and allow dilution to .5%. 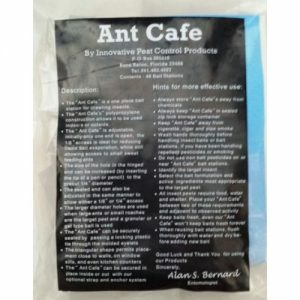 The ability to dilute with any food grade diluent helps optimize its cost effectiveness and significantly increases the potential for palatability to a wide variety of ant species. DOT works slowly enough that the active ingredient can make its way all the way to the queen, so that you can get true colony elimination.